Chennai: If fireworks cost more this Diwali and they did—blame it on a war for talent between apparel export hub Tirupur and fireworks town Sivakasi, both in Tamil Nadu. 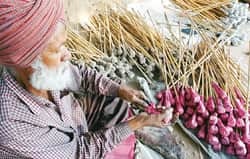 In the past year, around one-tenth of the workforce from firework units in Sivakasi, where around 90% of the fireworks sold in India are manufactured, have moved to Tirupur in search of greener pastures. Tirupur’s apparel units, which employ around 700,000 people, are still short of workers. Workers from Sivakasi are also attracted by the relatively better working conditions in Tirupur’s units. Ironically, Sivakasi was once a magnet for job seekers. With its printing presses (they account for 50% of India’s offset printing capacities, according to estimates by some of the town’s entrepreneurs), match-making units (80% of the safety matches produced in India), and fireworks companies, Sivakasi provides work for between 150,000 and 200,000 people. However, the recent exodus of workers has left it reeling. According to the Tamil Nadu Fireworks and Amorces Manufacturing Association (TFAMA) an industry body, the town is short of workers by around 40,000. Amorces is French for matches. Tirupur, called dollar town in other parts of Tamil Nadu on account of its export earnings, accounted for around Rs11,000 crore worth of apparel exports in 2006-07. According to R. Sivaram, executive director of Royal Classic Mills Pvt. Ltd, an apparel manufacturing company in Tirupur, it is difficult to surmise that workers from Sivakasi are moving to Tirupur “because there is no authentic(ated) data on people coming into Tirupur". He added that this could be true: “Around 1,000-1,500 people come in search of jobs to Tirupur on a daily basis and it is difficult to tell where they come from." An official at a non-governmental organization, however, said that workers were moving to Tirupur from Sivakasi. “The higher rates of growth in Tirupur-based companies demanded a huge pool of manpower that drove them to attract talent from the fireworks industry", said A. Joseph Raj, project director of Trust for Education and Social Transformation. Tirupur is around 300km north of Sivakasi. It, too, faces a shortage of workers who, according to a recent agreement between unions and apparel exporters, earn between Rs80.07 and Rs156.07 a day. In contrast, workers in Sivakasi’s fireworks units earn between Rs100 and Rs150 a day. Till recently, it used to be ₹ 80-120 per day. And Tirupur would also seem to be safer than Sivakasi. According to an official from the Certification of Child Labour Free in Fireworks Industry, a committee set up to inspect the prevalence of child labour in the fireworks industry, around 10 accidents have taken place thus far in 2007 at Sivakasi resulting in 24 deaths. Though no latest data is available on industrial accidents, A. Aloysius, director of Social Awareness and Voluntary Education, said having an increasing number of factories subjected to social audits—which mandates fire and safety standards—has resulted in better working environment. “In the last two or three years, one has not heard of loss of life due to fire accidents in Tirupur," he said. Then, there’s the bonus. “Ultimately, wages paid by both the garment as well as fireworks industries work out to be the same but the single-time benefits doled out by the former seem to strike as a greater amount to the workers," said Srinivasan. Between 60% and 80% of the 150,000-200,000 people who work in the fireworks industry at Sivakasi are girls. In an effort to attract them, Tirupur’s exporters have launched a special scheme called “Sumangali" under which the girls get paid a modest salary, are provided board and lodging, and get, after three years, a bonus of Rs36,000 to cover their marriage expenses. Meanwhile, according to A.C. Selvarajan, the owner of Kaleeswari Fireworks, and the president of TFAMA, companies are investing in machines. Kaleeswari, he added, would replace 90% of its workers with machines in the next 5-10 years. The company currently employs 6,600 people. A machine used to fill chemicals inside fireworks costs around Rs200,000-400,000, needs two operators, and can do the work of 25-30 people, Selvarajan said. Srinivasan, too, said that he was looking to automate around 30-40% of the operations at Kala Fireworks over the next three to five years. It won’t be possible to completely automate operations, he added. “Fireworks manufacturing is both an art and a science. The industry will always require a significant proportion of workers to bring out innovative and creative firecrackers."